It's October 2008. The beginning of another Jewish new year and the end of a long period of campaigning leading up to November 4 when Americans will choose the next president of the United States. 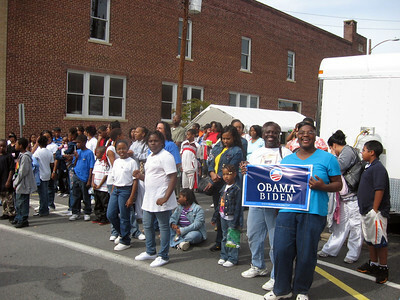 I received a request from the Obama for America Disability Policy Committee: I have been “selected, vetted and approved” to act as a surrogate for Senator Obama, and would I speak to the folks expected at the Saturday, October 11 Henderson, NC Colorfall Festival? 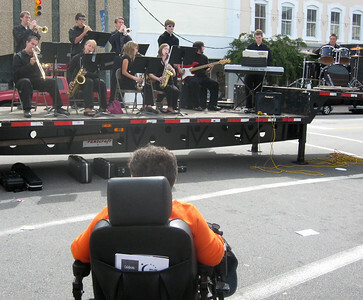 It's a street /craft festival fundraiser for two organizations serving individuals with disabilities and their families. This gallery documents that experience. As I told the (Jewish) Committee person who contacted me (who I’ve known for a number of years): may the New Year bring us Senator Obama as our new president and a new, progressive direction for our country. 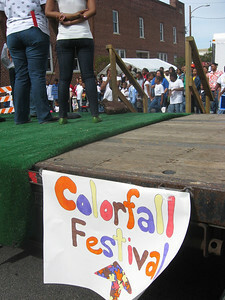 Welcome to the Colorfall Festival! 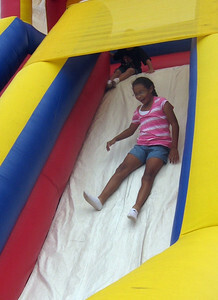 This year was a revival of the event after a ten-year hiatus, a first effort for the organizers. 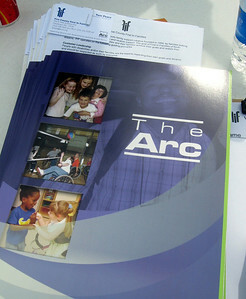 Proceeds from the Festival go to benefit "First in Families", a local group that helps families of people with mental illness, and the local chapter of "The ARC", a national support organizations for individuals with intellectual and developmental disabilities. 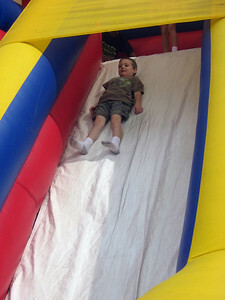 Activities for all--kids enjoy an inflatable slide. 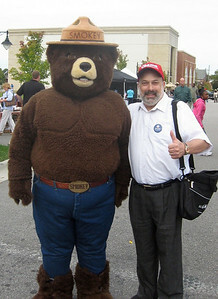 And yours truly gets acquainted with Smokey the Bear! 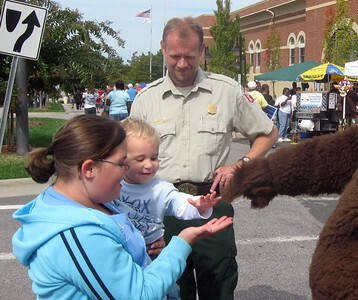 A young forest fire preventer meets Smokey. 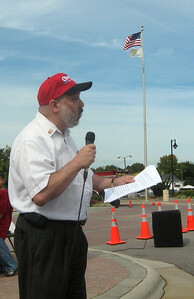 Nancy Ormand, the festival organizer and my contact, introduces one of the musical groups. 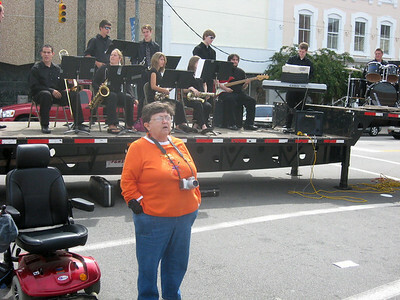 Nancy enjoys a local high school jazz band. 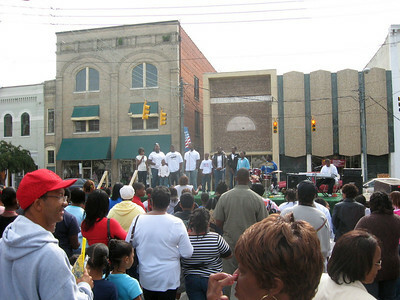 The crowd connects with a local acappella singing group. Plenty of Obama/Biden yard signs being distributed! 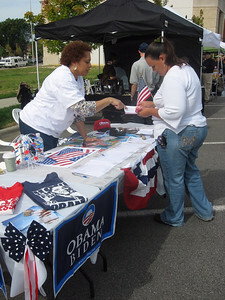 The Obama/Biden table--active with visitors throughout the day. My presentation to assembled festival attendees in mid-afternoon.